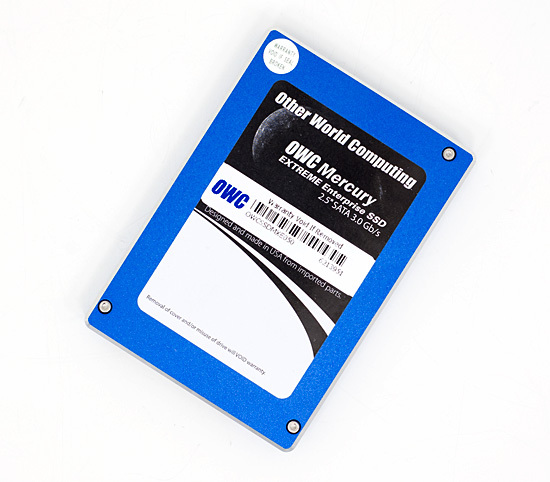 Update: Since the publication of this review OWC appears to have switched controllers for the Mercury Extreme SSD. The current specs look similar to that of SandForce's SF-1200 controller, not the SF-1500 used in the earlier drives. Performance and long term reliability (in an enterprise environment) are both impacted. For more information, read this. I must admit, I owe OWC an apology. In my Vertex LE review I assumed that because my review sample had an older version of SandForce’s firmware on it that the company was a step behind OCZ in bringing SandForce drives to market. I was very wrong. For those of you who aren’t Mac users, Other World Computing (OWC) just shouldn’t be on your radar. The only reason I’ve heard of them is because of my Mac experience. That’s all about to change as they are technically the first company to sell SandForce based SSDs. That’s right, OWC even beat OCZ to the punch. The first customers actually got drives the day my Vertex LE review went live. Multiple days before the LE actually went on sale at Newegg. I mentioned it briefly in my Vertex LE review. 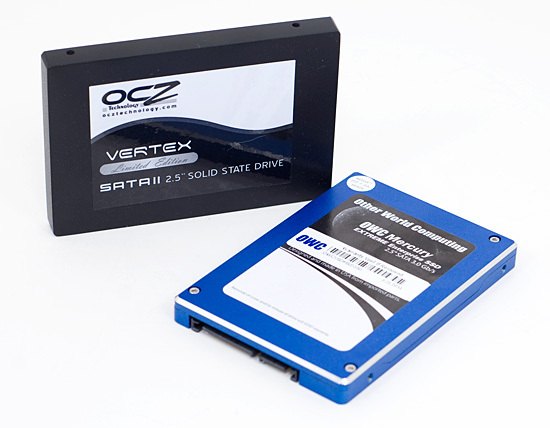 The OWC Mercury Extreme SSD is based on the same SandForce controller as the Vertex LE. There was some confusion as to exactly what this controller is. As of today there is only a single SandForce MLC SSD controller shipping. It’s somewhere in between the performance of an SF-1200 and a SF-1500. Ultimately we’ll see the SF-1500 move to high end enterprise drives only, with the SF-1200 used in consumer drives like the OCZ Vertex 2 and Agility 2. The accompanying firmware is also somewhere in between the SF-1200 and SF-1500 in terms of performance (more on SandForce's controllers here). But as I just mentioned, its the equivalent of what OCZ is shipping in the Vertex LE. OWC has assured me that all drives that are being sold have the latest RC1 firmware from SandForce, just like the Vertex LE. The firmware revision number alone should let you know that like the Vertex LE, these are wholly unproven drives. OWC is only sending out drives on 30 day evaluation periods, so I don’t expect many long term reliability tests to be done on those drives in particular. Thankfully we do still have the Vertex LEs to hammer on. OWC is the first company to offer a 50GB drive based on the SandForce controller. I’d long heard rumors that performance was significantly lower on the 50GB drive, but I had no way of testing it. OCZ still doesn’t have any 50GB drives. OWC gave me the opportunity to answer that question. OWC got upset with me when I took their drive apart last time, so I can't provide you guys with internal shots of this drive. The concern was that opening the drive left it in an unsellable condition. I would hope that no company is reselling review samples, but you never know. Unfortunately it does give you the worst cost per GB of NAND, and even worse when you consider how much of that is usable accessible. Remember that these SF-1500 controllers are derivatives of SandForce’s enterprise SSD efforts, meaning they are designed to use a lot of spare area. Despite having 64GB of MLC NAND on board, the 50GB drive has a formatted capacity of 46.4GB. Nearly all of the extra flash is used for bad block allocation and spare area to keep performance high. I installed Windows 7, drivers and PCMark Vantage on my 50GB drive which left me with 30.8GB of free space. That’s actually not too bad if you aren’t going to put a whole lot more on the drive. There’s more than enough room for a few applications, but think twice before using it for media storage. It’s sheer excitement that made me push this review out today. I was really curious to see how well one of these 50GB SandForce drives performed. I have seen some of you request that you’d like to see more non-I/O specific, real world tests in our suite. I’ve done this in previous articles but stopped simply because the data didn’t seem to provide much value. These drives are so fast that measuring application launches, game level loads or boot time simply shows no difference between them all. Instead, by focusing on pure I/O performance I’ve at least been able to show what drives are technically the fastest and then base my recommendation on a good balance of raw performance and price. Then there’s the stuff that’s more difficult to benchmark - long term reliability and consistency of performance. Most of these drives end up in one of my work machines for several months on end. I use that experience in helping formulate my recommendations. In short, I’m still looking to expand the test suite and add meaningful tests - it’s just going to take some time. This is a lengthy process as each new controller poses new challenges from a benchmarking perspective. As far as reselling review units, most manufacturers DO sell their review units and other products clearly marked as "open box", B stock, or refurbished and thus provide users with another purchase option. We offer these types of products in our monthly "clearance/garage sale" promo and are very well liked by our newsletter readers as great "insider" deals. Our statement of all the drive sizes (50/100/200GB) offering the same performance in terms of raw sustained data transfer rates was and is still true. As noted in Anand's final summary and direct communication with us, the overall performance of the 50GB model "looks quite good" and "performance is nearly identical in call cases except one." (a small random write file) We are looking into that one instance and will advise on any outcome. "As noted in Anand's final summary and direct communication with us, the overall performance of the 50GB model "looks quite good" and "performance is nearly identical in call cases except one." (a small random write file) We are looking into that one instance and will advise on any outcome." Pardon my ignorance, but I'm new to SSD's. I (think) I read in your first review that only Sand Force is able to make utilities for these (OWC and OCZ LE) drives. Does this include the trim command (for Windows 7 use), or can we just use some "generic" command? What would OSX users do? I've purchased a couple items from OWC in the past - can't say I'm a fan of the company. It wouldn't surprise me if they resold review drives. I purchased an external Firewire drive from them a few years ago, and when the internal drive died, I took the case apart to see that it was a refurbished drive. I didn't buy a refurb drive, I bought a brand new drive - but they filled the case with a refurb. Not cool - and they refused to do anything to make it right.